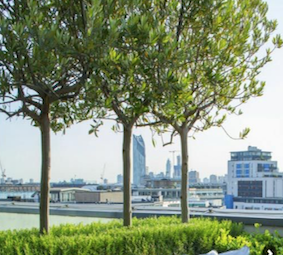 For those who live in the skies with access to the roof top, and with or without a great view, chances are you would enjoy being up there more often if you were amongst a garden. Generally Sydney enjoys glorious weather, allowing roof top gardens to be a social place for entertaining, a retreat outside without leaving the building, a place to sip some coffee or wine, or just relax and read a good book. In the first instance however, you will need to dispel any perception that fabulous plants will not grow well on the roof top. There are many plant species that prefer harsher climatic conditions and I am going to give you a small selection. You can plant collectively within a raised garden bed, preferably designed to mix the right shape, texture and color for maximum impact, and/or plant within stunning pots strategically placed as focal points within the overall garden. The common element to all of these plants is that they are very tolerant wind, full sun and some dryness as evaporation will be higher than at ground level. Of course if the garden is on the south side of the roof and behind a structure creating both a sun and shade aspect, then your plants choices will need to include plants that can cope accordingly. You will also need to resolve issues such as irrigation and drainage, and that the roof structure will tolerate the weight load proposed. Like all Agave's, Twin Flowered Agave (that's its common name) are easy to grow. This one has narrow dark green leaves cascading out from the centre forming a dense rounded rosette that could reach 90cm. Agave's can thrive on a bit of neglect, so do not over water them. A stunning architectural plant for wow factor. 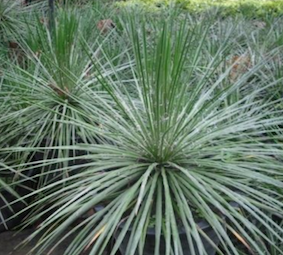 Weber's Century Plant is a medium sized Agave that has fleshy spine tipped grey green leaves. Plant in full sun to part shade. There are similar Agave's with the same form, and your choice will be influenced by leaf color, but I love the grey tones of this one. Small 'pups' will eventually grow on the trunk, just cut them off, pot them up and voila, a new plant. 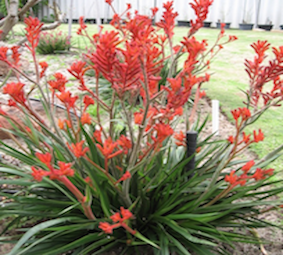 Kangaroo Paw Bush Ranger is a dwarf variety with prolific non stop blooming red green flowers. It looks awesome in a pot. It loves a sunny location, is drought tolerant and will grow to approx half a meter high and wide. There are many varieties of Kangaroo Paw, and your choice will be influenced by flower color and plant size. 'Better John' is a compact quick growing Australian native plant which has been bred from 'Little John'. However 'Better John' is quicker and easier to grow, has better foliage color whilst maintaining compact shape. It has mature grey green foliage. Sheok Cousin is a beautiful prostrate ground cover that forms a wonderful spillover effect to rockeries and container pots. Flowers are insignificant, but the foliage is spectacular. It is evergreen and could spread 2 -3 meters. Once established it should take care of itself. Blue Bird Crassula is a hardy reliable succulent that naturally grows in a bun shape habit. Occasional tip pruning will maintain a very dense plant. It's blue grey foliage makes for a fabulous color contrast to other plant species, particularly burgundy or deep green. Iveyi Escallonia is a very hardy bushy upright shrub with lush dark green foliage that can makes for a good dense hedge or background plant. It has a pure white flower for spring and summer, and if you are lucky, perhaps a little longer. It responds well to pruning to shape. Coneflower is a South African plant in the same family as the Protea. There are many varieties of flower to suit your overall garden color palette. To reduce humidity, ensure there is plenty of air circulation in that part of the garden you intend to plant. Generally they flower in winter, which adds to their attraction. 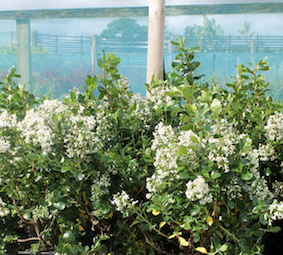 Tanika is one of the toughest and most reliable landscape plants. 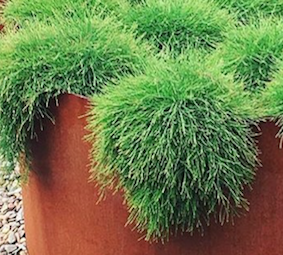 It has soft evergreen foliage, unlike many grasses that are seasonal in color. Looks great when planted en masse. It will tolerate some shade. It has a small yellow flower, but most grow it for reliability and the fine leaf texture. Olive trees look stunning when planted in large container pots, crown lifted so as to reveal one single leader trunk (see pic on the left). Olives are a hardy mediterranean plant perfect for the conditions of a roof garden. There are various fruiting species, and a non fruiting variety. Click here for more information about growing Olive trees. Gold Mound Sedum is a ground cover plant with continuous lime green/yellow leaves. With small leaves it can look a little delicate, but it is a hardy survivor. It will brighten up any garden corner, and looks great as a border plant. Blue Chalk Sticks can be grown as a ground cover up to one meter wide. It can be trimmed to shape, with cuttings easily propagated to create new plants should the original plant become leggy. A great color contrast with grey green plants. For inspiration and a brief chat contact Brian, he would love to assist you to get started.